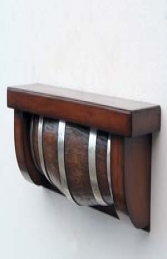 This narrow Wine Barrrel model is an ideal replica prop to add to any Pirate, Nautical, Smuggling or Historical scene. This fantastic resin replica Wine Barrel model really does look like its made of wood. It is available either with or without the stenciled decoration. 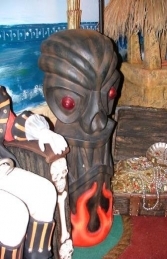 This prop is ideal for pirate island, historical and smuggling themes, or advertising or drawing attention to your business. It can be used in any themed area or in shops, pubs, restaurants, coffee shops, adventure golf courses, zoos, theme parks or even in your own home.